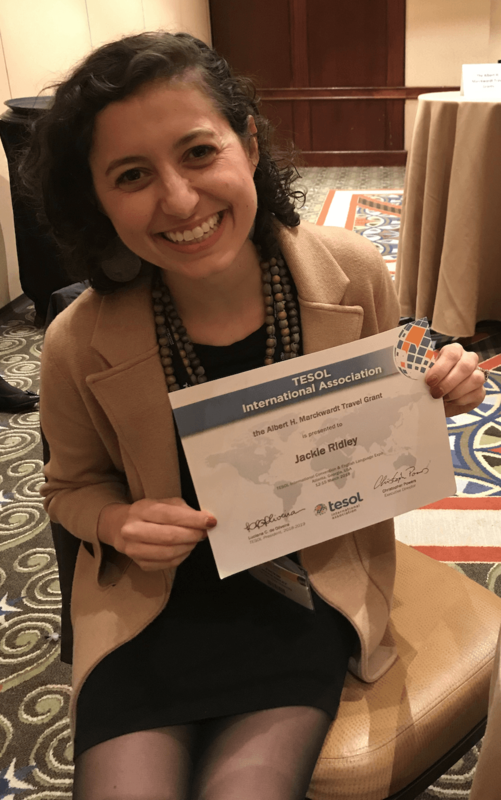 My advisee Jackie Ridley has been awarded the Albert H. Marckwardt Travel Grant, which is open to TESOL members who are graduate students in TESL/TEFL programs worldwide. Only 2 awards are available each year for doctoral students. The award will provide Jackie with a cash award of US$500 and the waiver of her 2019 TESOL International Convention registration fee.